When visiting a new destination, it can be difficult to be completely prepared. You might have managed to pack exactly what you need within the ludicrous airline baggage restrictions (according to my wife). You might have even managed getting the whole family to the same location without anyone getting lost along the way. However, there are always the little helpful tips we wish we’d known beforehand to make our trip even more enjoyable. I’m going to give you the 5 most common tourist mistakes when visiting Rome. 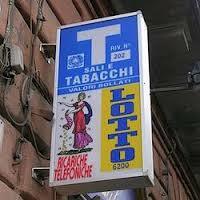 The first mistake when visiting Rome is not carrying any cash. Many of us have loved the idea of not having to carry cash as often anymore. Paying for almost everything back home using a credit or debit card, never having to handle cash that can get lost or stolen. Though many businesses in Rome have moved to card systems in recent years, there is still a large number of small businesses that have not yet implemented this (including small family restaurants and even the public transport system). Bringing cash along with you and converting when arriving in Rome is an option, but I would recommend avoiding carrying large amounts of cash on you. Definitely bring about 100 EUR with you, but rather use local ATMs for withdrawing only the cash you need for short periods at a time. Bonus Tip: Ensure that you tell your bank you’ll be in Rome, or they might block access to you card. Public transport in Italy is a bit more complicated (of course) than you might be used to back home. One of the most common mistakes when visiting Rome is not buying public transport tickets before boarding. 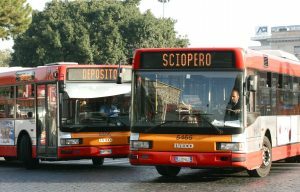 In Rome, you aren’t able to buy public transport tickets when boarding a bus or a train. Tickets must be bought either at the entrance of a metro station at one of the ticketing machines, this is usually the most convenient. If you’re not near a metro station, you’ll have to find a Tabachi (newsagent) marked with a large “T” that sell tickets as well. Fortunately there are plenty dotted throughout the city, but remember to buy your ticket before attempting to board any public transport in Rome to avoid problems with officials. For more information, we have a great guide on the best ways to travel around Rome. For many of us a holiday means T-shirts, shorts and flip flops. When exploring Rome, this is still very much a pleasant possibility. However, it’s important to dress more sensibly when visiting holy sites in Rome. For some holy sites, shorts below the knees and a T-shirt that covers the shoulders should suffice. In some cases, an official might give you a piece of fabric to wrap around yourself should they feel that your outfit is a bit revealing. Officials at sites considered even more important, will deny you access altogether if you’re not wearing long pants with shoulders covered. So be mindful of where you’re visiting, dress accordingly and you’ll be fine. One of our most frustrating mistakes when visiting Rome, was not checking for service fees at a restaurant. In touristy areas in Rome, a “Coperto” or seating charge will be applicable if you sit down for your meal. This extra charge can range from 1.50 EUR to 4 EUR, in addition to the actual food bill. For some restaurants, not charging a service fee is a marketing tactic, so be sure to ask about service fees before sitting down for a meal. Unfortunately the fee is unavoidable if you want to experience some of the amazing restaurants throughout Rome. Something we hear from many tourists is that they tried to cram too much into their itinerary. This I believe is one of the big mistakes when visiting Rome. They tried to do too much, and as a result felt too rushed to actually enjoy what they were doing and before they knew it their time in Rome was up. 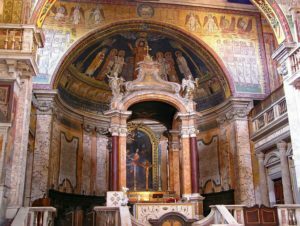 When planning a trip to Rome, we recommend having one or two main activities planned like a tour through Rome, but allowing the trip to take it’s course and planning as you go along. This way you aren’t forced to miss something you truly want to see because you’ve booked an itinerary that allows for nothing else. Enjoy Rome, take your time and savour the beautiful sites, the interesting people, the amazing food and of course the coffee! I hope that this list gives you some ideas for your next visit to Rome. If you think we’ve missed something, please comment below. We always love hearing from our readers!